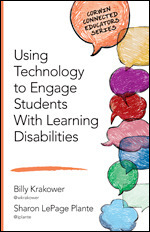 A few months ago I posted on how my school had entered the 1-1 iPad world for the support and enhancement of learning with our language based learning disabled students. iPad as #dyslexiatech The road has been exciting and eye opening with the ever increase of devices entering our building with a BYOD policy also in place, lending to about 75% of our students having their own device, and the other percentage having access to technology within their day. We are seeing the power of these tools to engage students in new multi-modal ways. First and foremost, the built in text-to-speech and speech-to-text of the iPad are the first key features to engage with. However, I continue to learn about, explore, and have students incorporate tools that fit their learning needs and that can enhance the skills they are building each day. Since my last post and with the increased number of devices, I seek to build a backpack of tools for the range a learning skills and ages. One of the key tools for our students is Bookshare. This enables our students to have visual and auditory access to books in digital format. 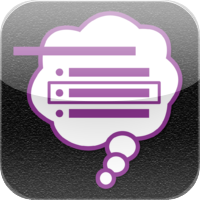 A new favorite tool to incorporate with is the app Voice Dream. 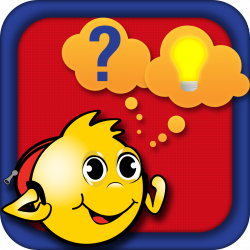 This is a robust app that can be utilized with various reading tools, where users can control the reading speed, highlight, and insert notes to the text. I had the privilege of recently meeting Winston Chen, the app developer, who is dedicated to continuously working on his app, especially as an assistive tech tool. It provides the visual and auditory methods of reading, with scaffolding to support a variety of learning needs. Ever want to scan a document to be read to you on your iPad? For students who need physical paper to be in a digitized format, Prizmo is a fabulous tool that I continuously tout for its ability to utilize OCR (Optical Reading) to turn paper into iPad text, and can be exported into various apps. Our students have been using Notability for some months, and students engage with the use of text, writing, and drawing tools, as well as the ability to record audio. 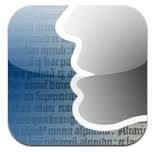 On a recent trip to #ATIA14, I learned about another fabulous app PaperPort Notes. 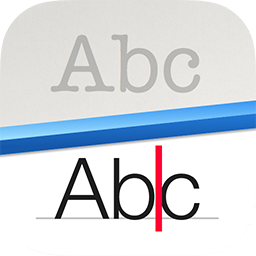 It incorporates the same tools as Notability, with some additional features. First, the ability to OCR paper directly into a document in the app. Additionally, I love that you can also export mind maps from Inspiration and Kidspiration directly into it as well. There are three wonderful options to incorporate word prediction along with speech-to-text and text-to-speech to support students with their written expression: Co-Writer, iReadWrite, and iWordQ. I personally chose Co-Writer, for cost and for the ability to create a topical dictionary each time a student crafts a piece, which will lead the word prediction to be more related to the topic. Additionally, I find the layout of Co-Writer simpler for younger students. There are many educators I have spoken with sharing why they chose iReadWrite and iWordQ, so I think you can’t go wrong with any of these choices. Do you recall Inspiration from years ago, it is a wonderful tool on the iPad. I love using Kidspiration with my younger students as there are some great templates built in to get them started. These mind maps can be exported into various tools such as PaperPort Notes, to be utilized for drafting to creation. I actually like the touch screen creation of the mind map on an iPad as compared to creating with the mouse on the keyboard as it seems more intuitive. With the world of apps for education growing daily, I have a list to keep exploring and putting in my students’ hands so stay tuned for Part 3. Please share tools you find beneficial to your students’ learning.